From the expensive to the odd and from the uncomfortable to the grotesque, these designers had a specific vision, and they weren’t afraid to see it through. 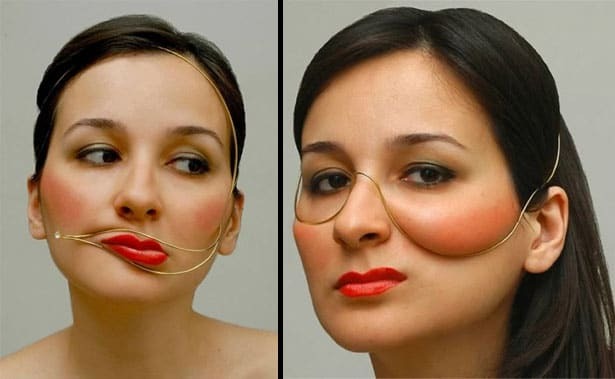 These designs may not be appropriate for every occasion, but they will certainly spark your imagination. Consider adding any of these amazing works of art to your closet and take your personal style IQ up a few points. 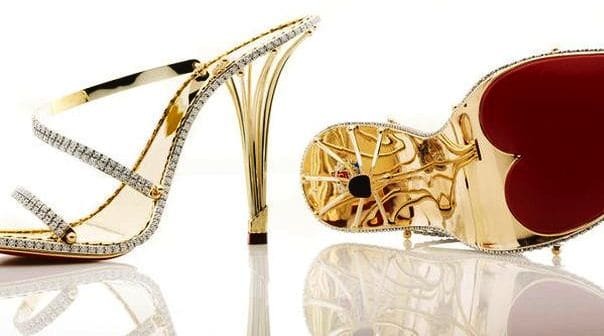 Created by Christopher Michael Shellis, and carrying a $228,000 price tag, this pair of solid gold and diamond heels is one-of-a-kind. Feeling royal? This Aztec-inspired accessory is a stunning example of gutsy design. 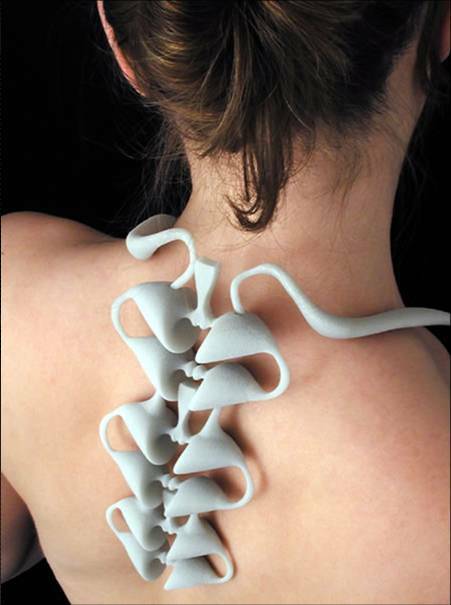 Designed in CAD by Temple University students, this skeleton and bones necklace, named “Vertebrae” is made from glass-filled nylon. Burcu Büyükünal’s face-changing pendants delve into the world of jewelry that makes the wearer ugly. 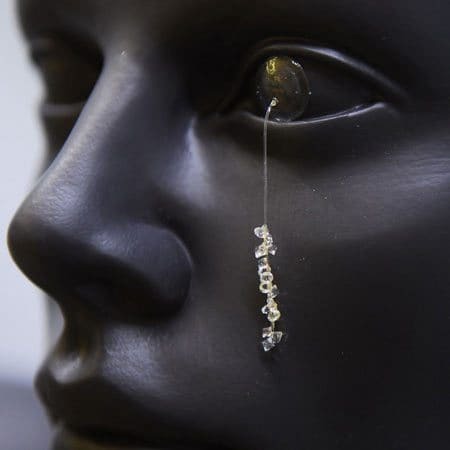 Designer Anthony Mallier from India offers ‘Sparkle‘ contact lenses. Dutch designer Eric Klarenbeek explores the possibilities with eye jewelry that seems to protrude from the center of the wearer’s pupil. 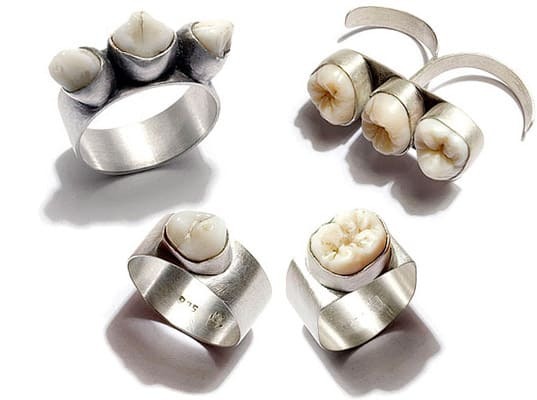 Polly van der Glas prefers teeth to diamonds, and her silver jewelry designs reflect that personal preference.